Made 2 Measure Signworks is a business creating banners needed to promote your business, event, or special occasion! Using a wide range of materials, we can develop the ideal banner for your needs in any size. It does not matter if you are searching for an outdoor event banner, an indoor sales banner, a tabletop retractable banner, a tradeshow banner, or other customized banners; our company will work with you to design the best banner to meet these needs. We handle all phases of the creation procedure and working alongside you will ensure that the design is not only aesthetically pleasing but also contains pertinent information you need to share. 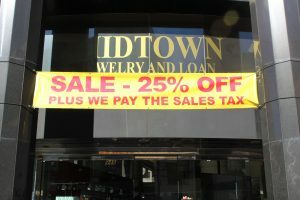 Call Made 2 Measure Signworks today at (647) 699-7654 for a Free Consultation with a Banner Expert! A banner can be utilized for various purposes with one of the most common uses being business promotion. As a promotional item, used both outdoors and indoors, your company can attract visitors to your business’s location or help them find specific areas within your building once inside. Positioning retractable banners are often used for indoor events, such as tradeshows, durable vinyl banners are more often used for long-term outdoor usage. Our company creates high-quality professional banners needed to help you meet your business objectives. As leading local signage company, Made 2 Measure Signworks can efficiently create this type of marketing material for you quickly and efficiently. 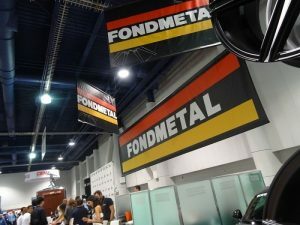 Depending on how you wish to display your banner, you may require some form of built-in hanging structure, such as an external support structure, grommets, or a banner stand. 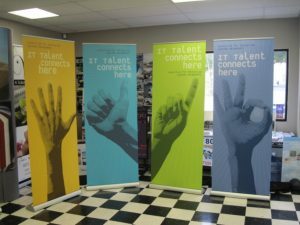 Some banners may require more than one and we will help determine what support structure best fits your banner needs. 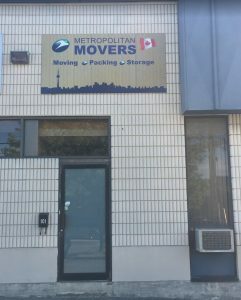 We will discuss the intended use of the banner and its placement during our free initial consultation and will ensure that all necessary modifications to the structure are quoted during your consultation. We have a plethora of options available for banner display and would be happy to discuss the different products available. Contact us to view the various banner materials and support structures on offer. 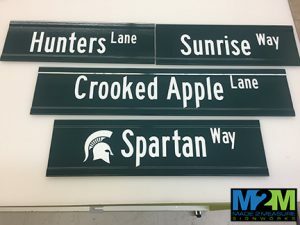 The specialist team at Made 2 Measure Signworks handles all elements involved in the development and manufacturing of signs and banners, including the design, fabrication, and sourcing of items required for the displaying of your banner. 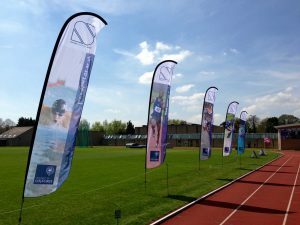 For example, if the banner needs structural support, we will instruct you how to correctly assemble your banner to prevent confusion when installing your banner on-site. If you require large banners or a hanging banner, we will also offer assistance with installation. We develop attractive banner to help you achieve your company’s goals and, as a local company, we are able to form single banners or all of the banners you require. Great company, great service , I will use them again. I couldn't be more happy about the results.